White amber - pure and blessed. Therefore, this work would suit the white bride so much. A luxurious silver mesh is consistent with the purity and smoothness of amber. 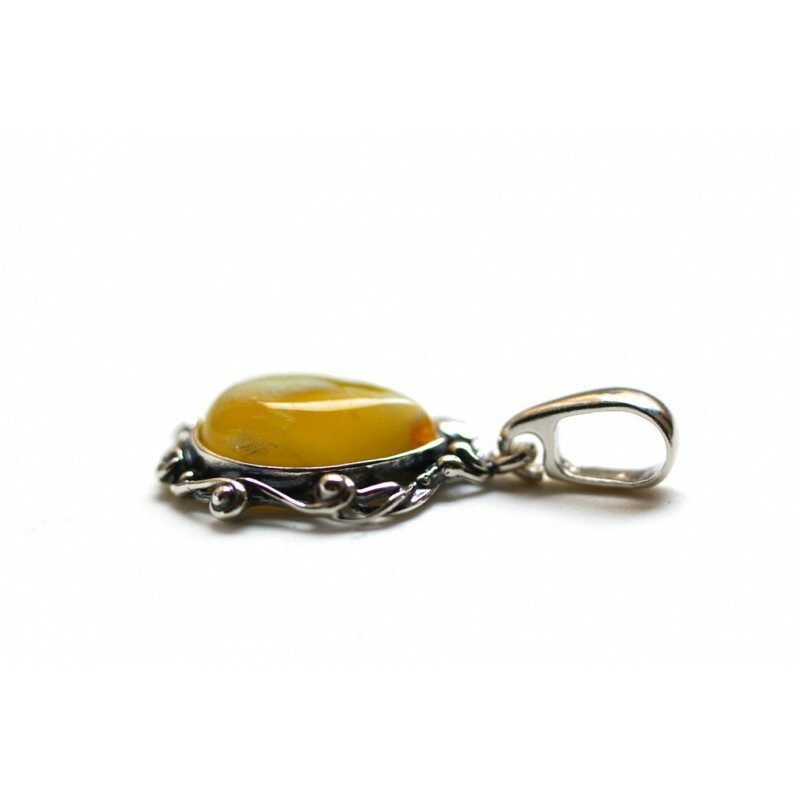 Aistian priests used to believe that during the sunset, when the sky is clear and transparent, the white amber is born. It is blessed by the sun itdelf, therefore, it brings goodness, joy, fulfillment and success.